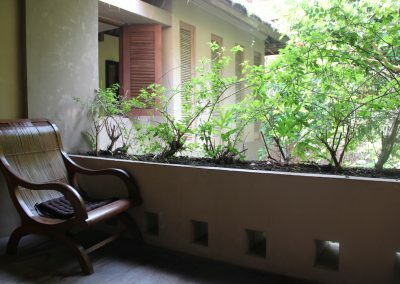 The Svadhisthana rooms are two private rooms within our ‘Japanese Garden Villa’ that adjoins the front wall of the retreat centre, located as you enter the main door to the retreat centre. 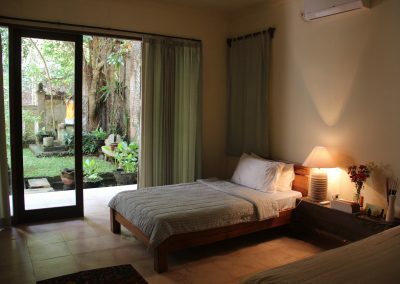 The villa is the newest addition our growing retreat centre space, and provide a great option for complete privacy from the retreat centre itself, but literally adjoining the retreat centre. 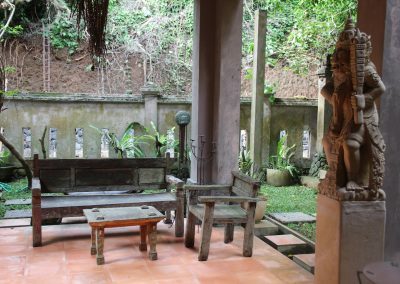 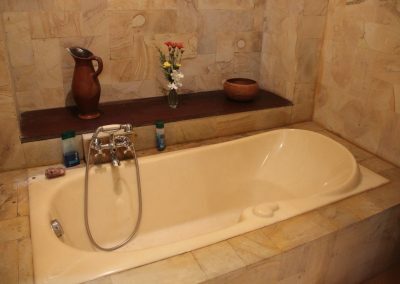 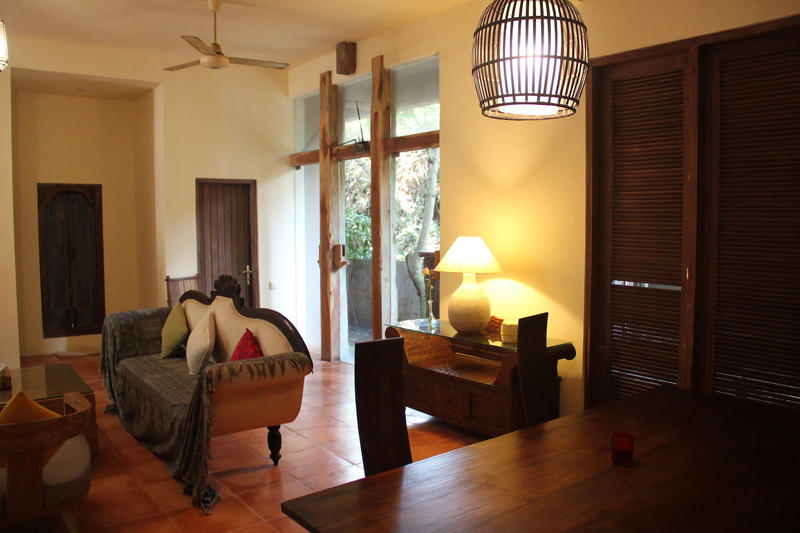 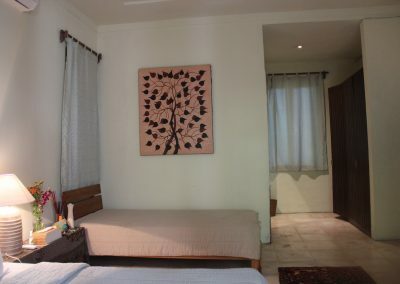 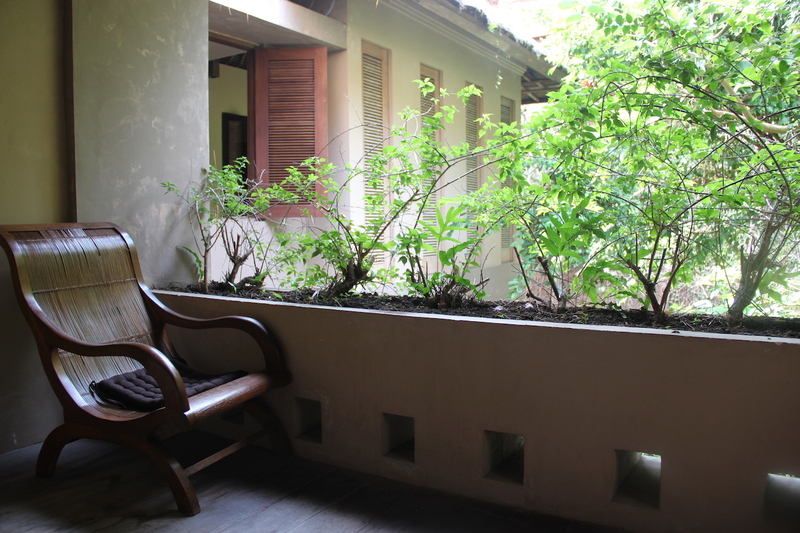 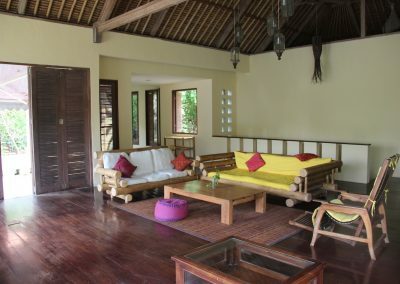 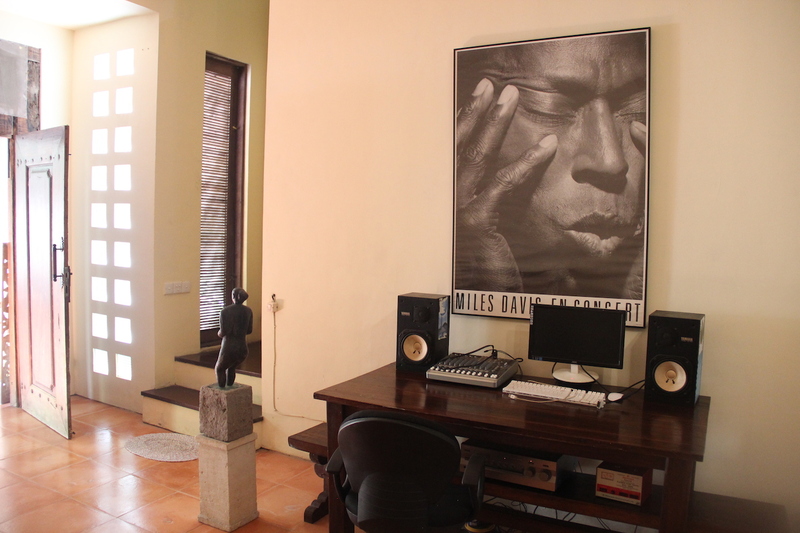 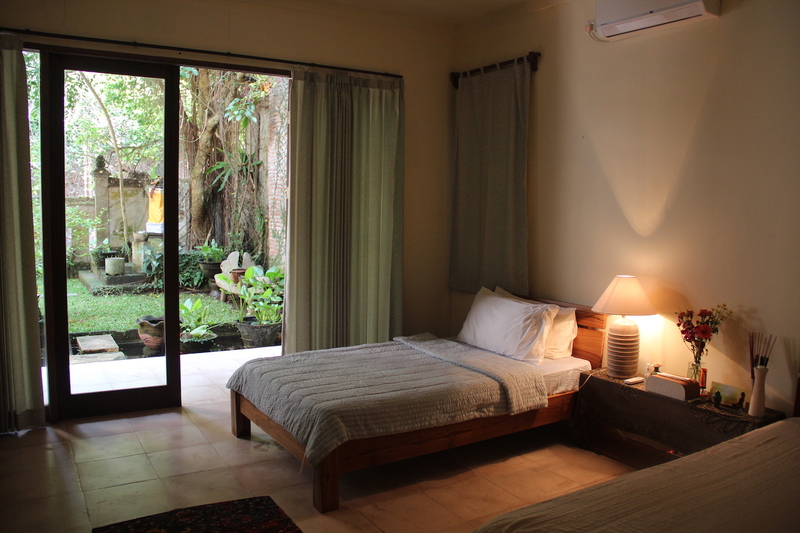 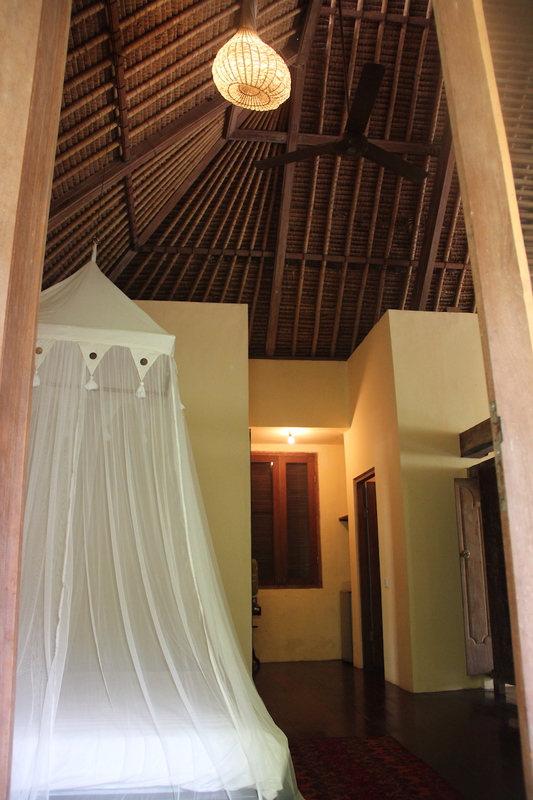 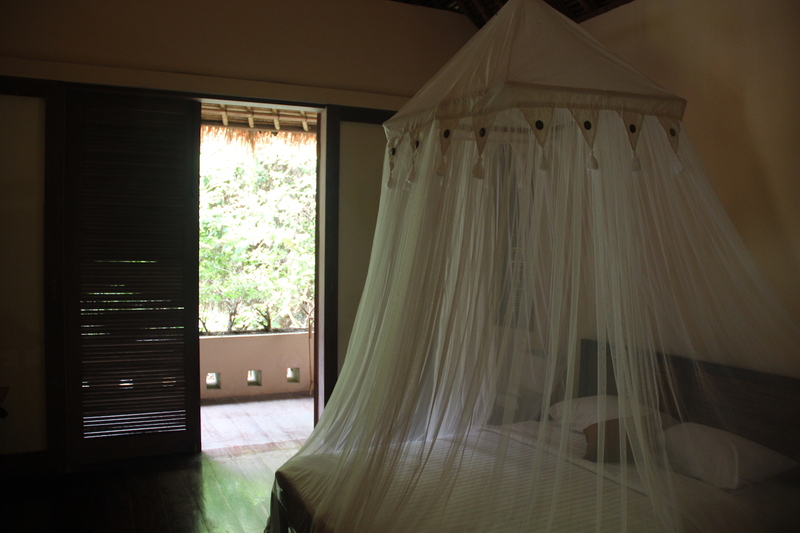 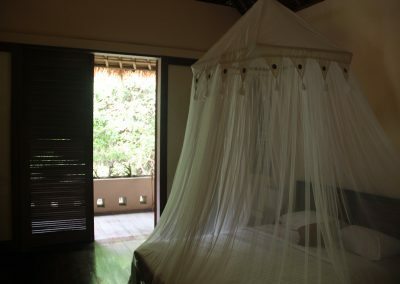 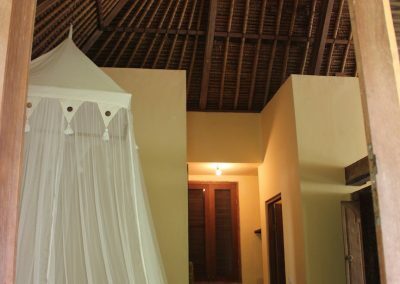 Room 1 has two single beds (can be joined to make a king), and Room 2 a queen bed – both have private bathrooms, and each room has it’s own private level and huge living space of the two storey villa. 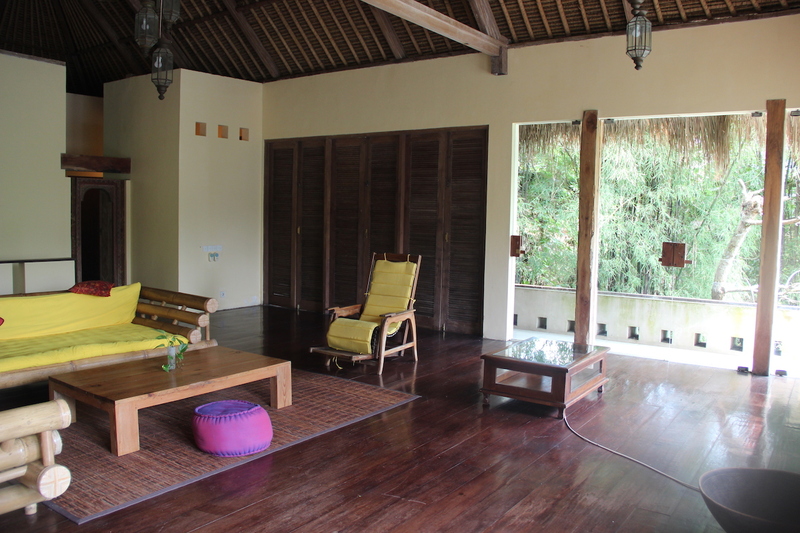 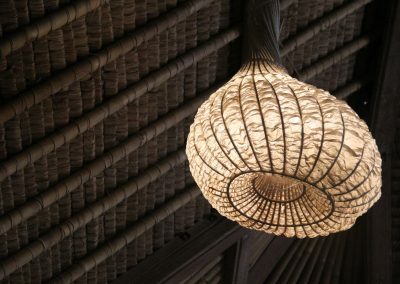 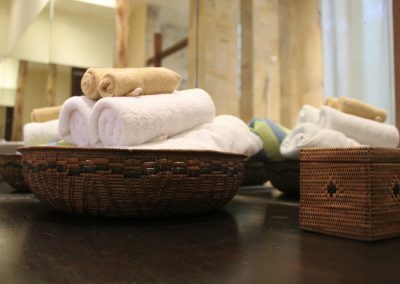 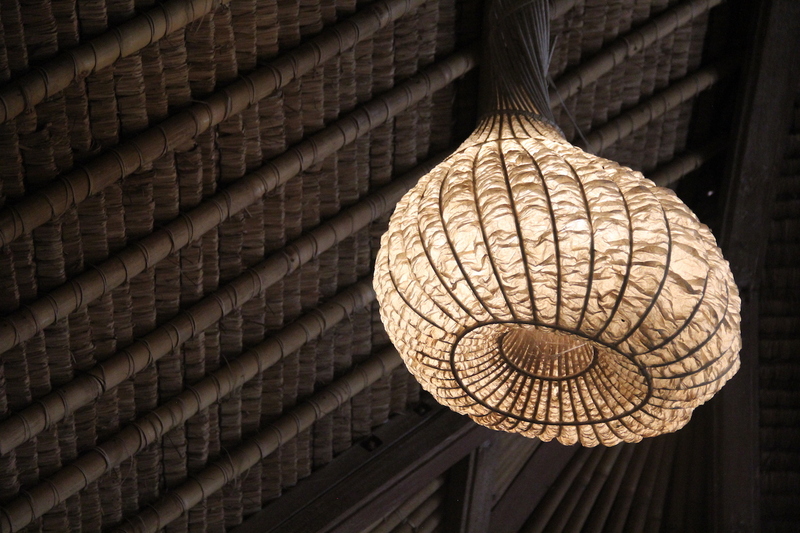 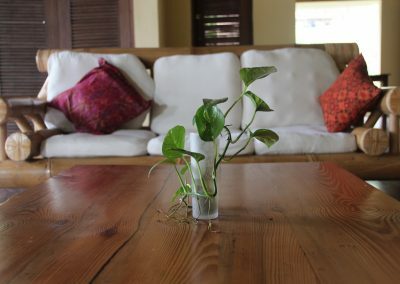 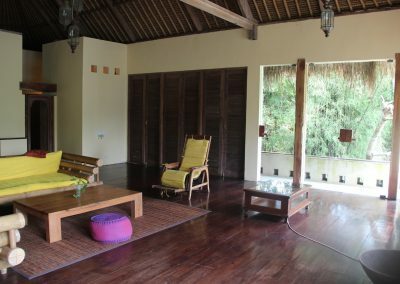 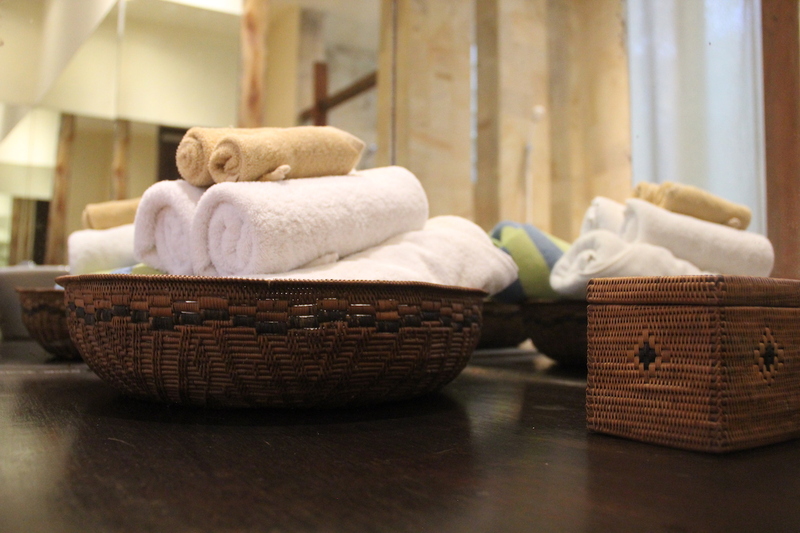 The villa theme is “minimalist Japanese” and can be a great option for groups 2 or 3 guests who would love their very own private villa within the retreat centre compound. 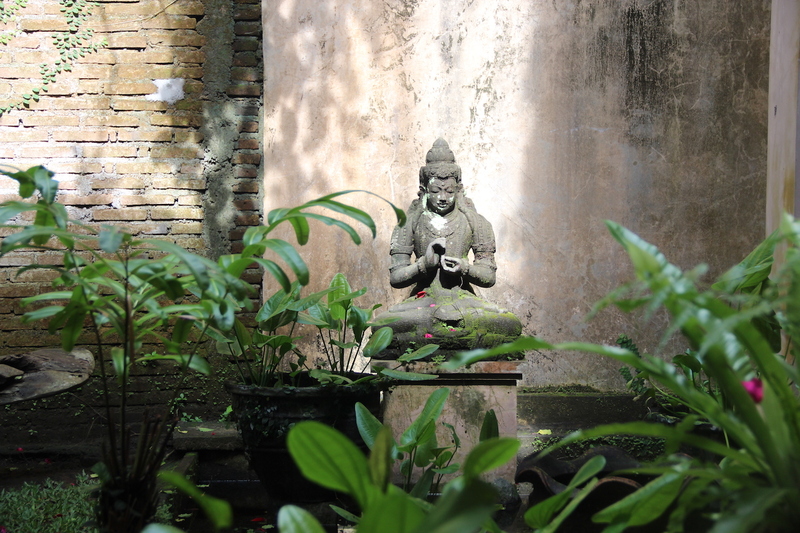 Named after the sacral chakra, Svadhisthana is defined as the support or foundation to your vital life force / soul.Whilst the base chakra gets our material needs in order, the sacral chakra then allows our emotional nature to be attended to. 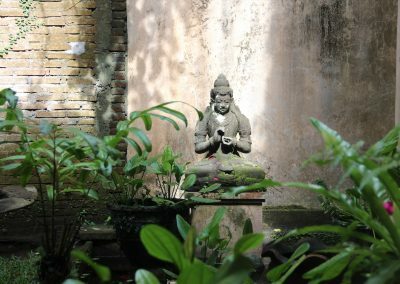 This is where the unconscious and emotions reside, and emotions, like water, are fluid, ever changing provides us with the ability to accept change and go with the flow of life. 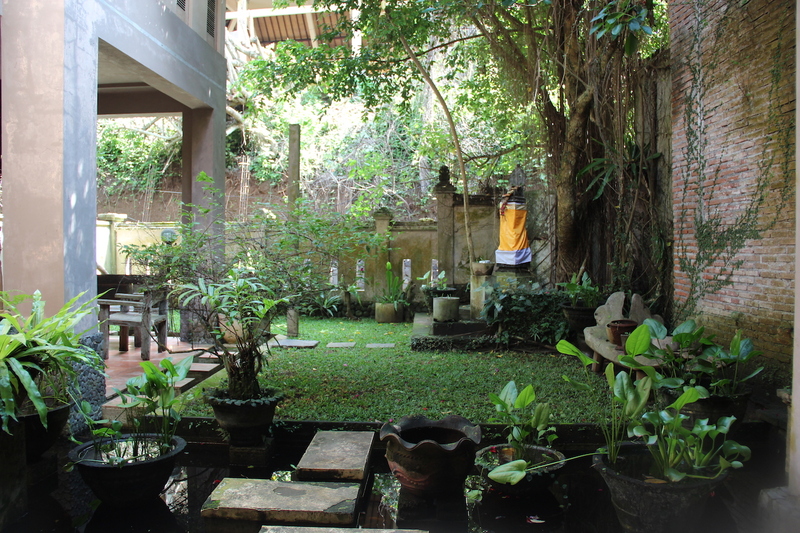 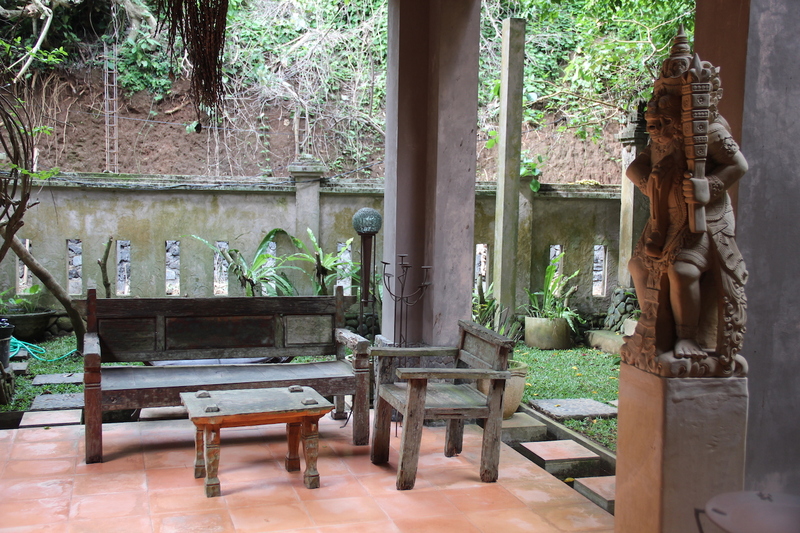 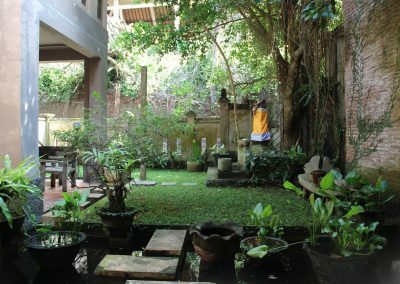 Svadhisthana encourages us not to rush decisions but to allow the answers to bubble up from your core in their own time ~ so the bubbling fountain of the Garden Villa sets the perfect backdrop to let go and let things flow.